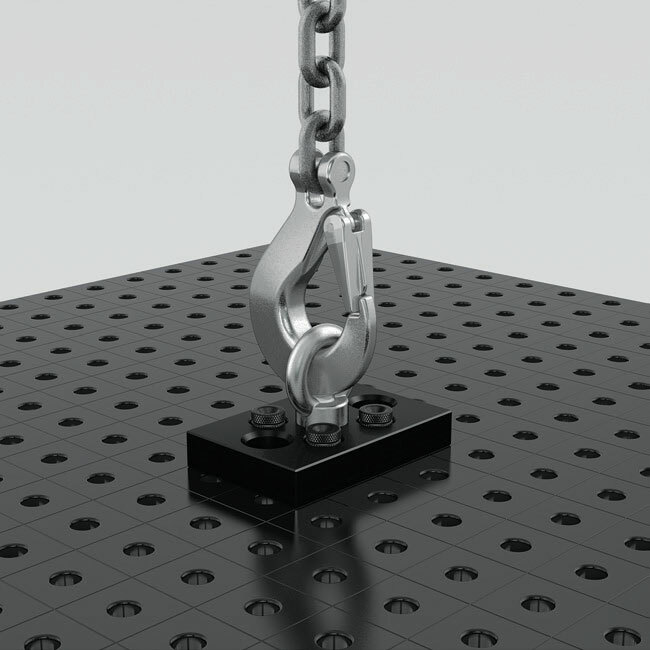 The Shipping Bracket with fastening plate has a load capacity of 700 kg. It is used to move welding tables and other heavy Siegmund elements safely and easily. It is fastened quickly and simply with four clamping bolts. The general regulations for the use of shipping brackets must be followed. The load capacity can be reduced substantially, depending on operating conditions. During transport, the table may not be raised more than 100 mm, and no one is permitted underneath the table. In addition, the shipping brackets can be used as an easy fastener for lashing straps. Please consider following safety instructions: Ring nuts should be completely bolted. 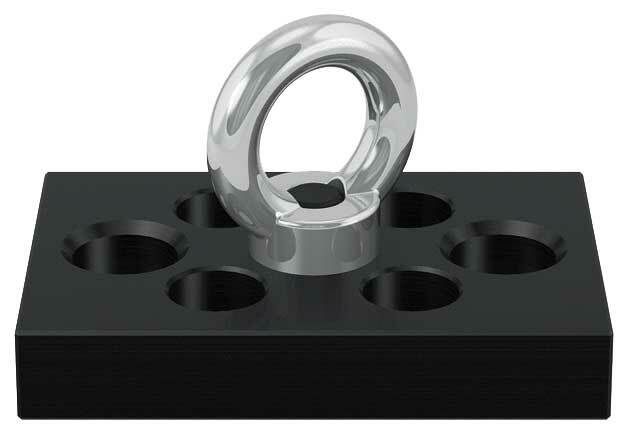 Ring nuts should bear flat and completely on support surface. Length of mating thread has to be sufficient. Lateral pull should be avoided.